…and here’s more scoop on the horror/mystery novel Night Film by Marisha Pessl. The Austin bookstore BookPeople‘s blog not only has great things to say about it, but thoughtfully provides a link to read an except from the novel, which releases on Tuesday. Horror Boom encourages you to buy this (and everything possible available in print) in a brick-and-mortar bookstore, or at least to buy a physical copy, when given the choice. Here in Seattle, bookstores–you know, the ones you can walk into and browse, pull books down from the shelf from and flip through the crisp pages (and if you’re lucky, still have a horror section), have been shutting down alarmingly quickly the last few years, and that includes chain bookstores. OK, we didn’t mean to make your Monday any more depressing than it already is, sorry. Check out the novel’s “trailer” here if you haven’t yet, and the link to read an excerpt! Damn, it sounds cool so far. If you were a fan of Special Topics in CalamityPhysics, then you likely already have next Tuesday 8/20 marked on your calendar. 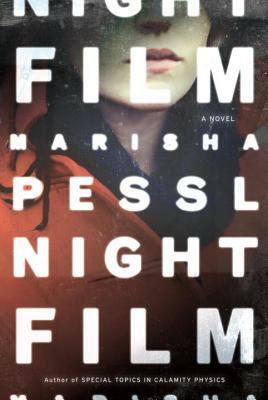 That’s when NightFilm, Marisha Pessl’s first novel since the highly acclaimed STCP, hits shelves.